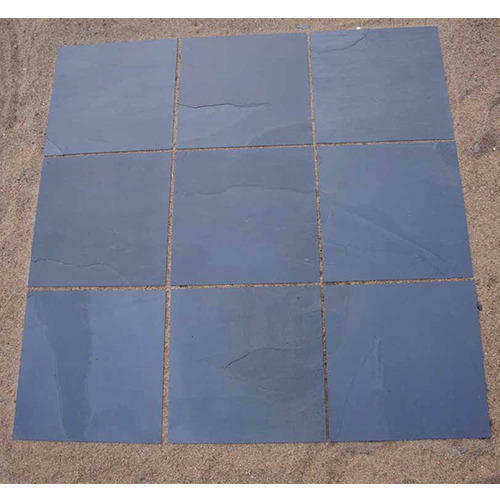 With long years of experience in the industry, we are able to offer a wide range of Blue Slate Stone. Our offered slabs are processed by our deft professionals using finest quality raw material and the latest technology. In order to make sure the quality of these slabs, our quality examiners test them on diverse parameters. Apart from this, we offer these slabs in plethora of designs, sizes and patterns as per needs of our esteemed clients. We offer slate stones in various forms and types viz. Slate wall tiles, slate flooring tiles, slate slabs, cut to size pavements slate, slate flags, slate chips, slate stone strips and more. Slate stone is used on a large scale in the construction of buildings and for flooring, roofing and wall cladding. The strips can be used to make various designs on the walls and a combination of different shades and colors of slate stones can be used to create varied patterns. Note: Above details are standard, can make as per Buyer’s Requirements too. "Prices are available Rs 10-200 piece"
Established in the year 2013, Elegant Natural Stones Private Limited is one of the leading names in the domain of manufacturing, trading, wholesaling and exporting granite stone, sandstone flooring, sandstone tiles, marble granite slabs, limestone flooring, slate stone tiles, floor designs marble, Marble Floor Tiles,and many more. With the client satisfaction as the main objective, we strive to present a tantalizing range that is beyond the expectations of our patrons. Our products strike their presence in commercial as well as residential establishments due to their aesthetic appeal, durability, weather resistance and non-skid surface. Our exporting countries are Japan, USA, Egypt, Dubai, US, Kuwait, Saudi Arabia and Europe.